Gabor bring us 82.853.43 LISETTE 81. 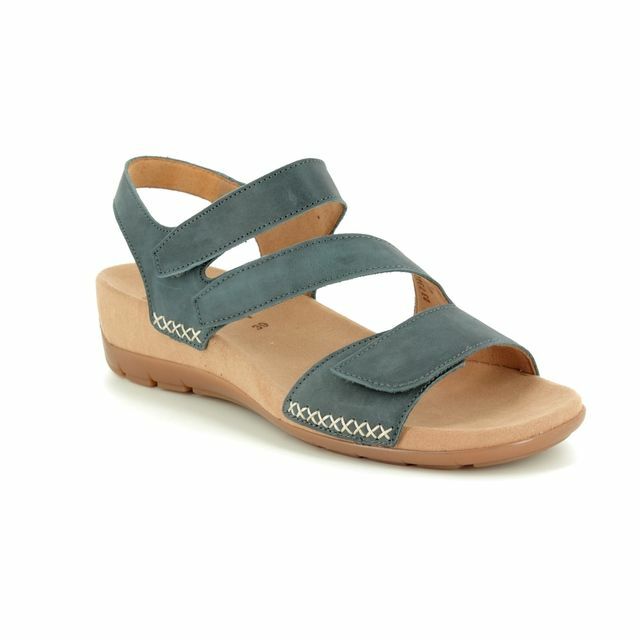 Perfect for the summer, these ladies sandals are the ideal wardrobe addition. 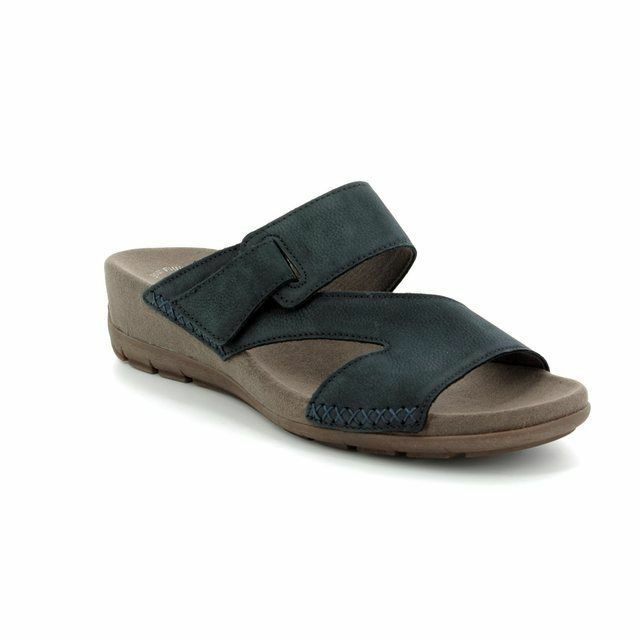 The light taupe leather upper of these slip on sandals features discrete elasticated panels for an easy to use and secure fit. The cross strap detailing paired with the enclosed heel of these sandals gives them a sophisticated summer vibe. Gabor have used a woven wrap on the 4cm approx. wedge of these sandals creating a contrast of textures with the upper. The microfibre lining of these shoes offer additional underfoot comfort. 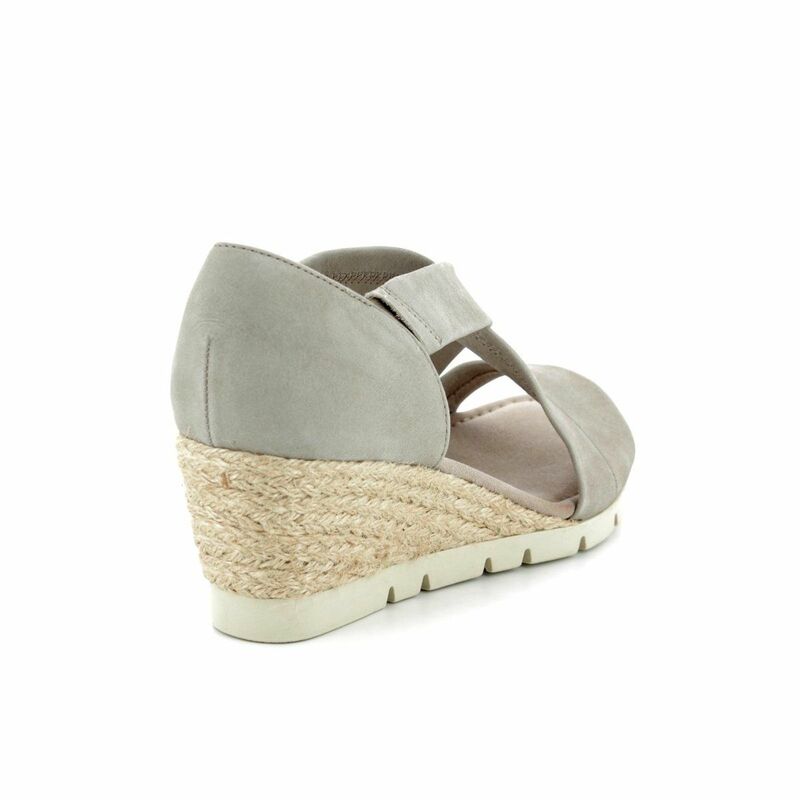 Pair these ladies wedge sandals with a summer dress or denim skirt for the perfect laid back look. Buy your Gabor ladies sandals from Begg Shoes, an official Gabor stockist.